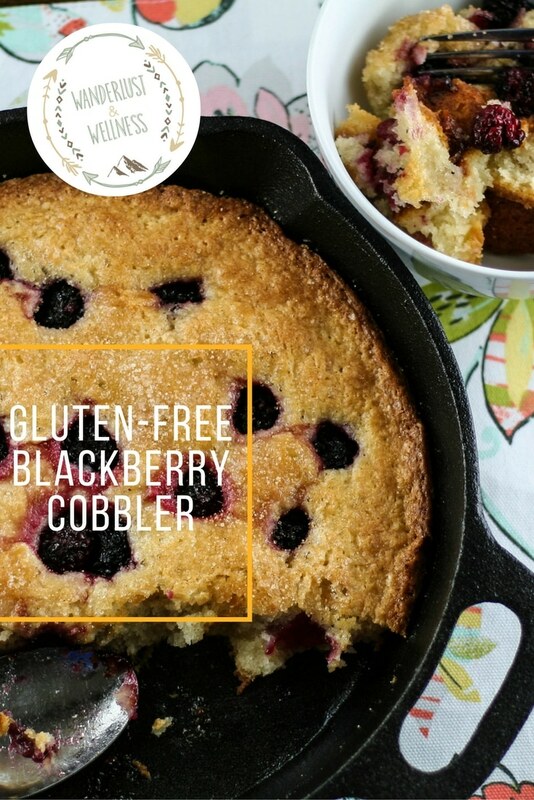 And of course this cobbler is both gluten and nut-free. After many countless hours of adjusting baking recipes that included nut-based flours, like almond flour, I found one that I use solely for baking. 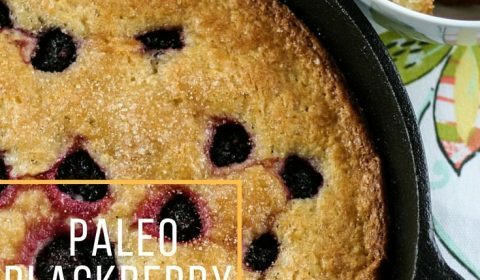 I would say this flour is Paleo-ish, but it’s what I found works best for baking. It’s called Cup4Cup and I use the Cup4Cup Multipurpose Flour for baking. It has literally saved me! This recipe is an adaptation from The Pioneer Woman Cooks recipe, but using the gluten-free flour and my Homemade Whipped Cream. Preheat oven to 350 degrees and grease a 9-inch cast iron skillet or round baking dish with butter or coconut oil. In bowl, combine 1 cup of the sugar, flour, baking powder, and salt, mix well. Add in the melted butter and stir until smooth. Pour the batter into the greased baking dish. The batter will be thick, like cake batter. 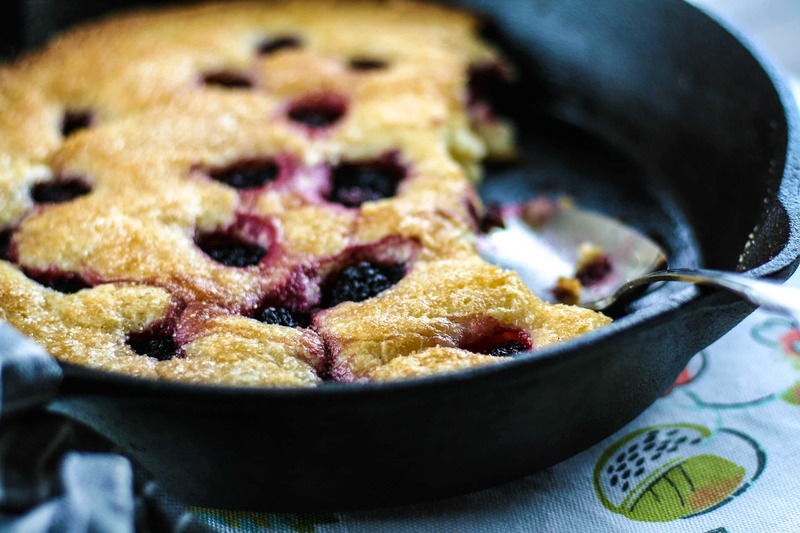 Add blackberries to the top of the batter, scattering them about. Sprinkle 1/4 cup sugar over the top. Bake for approximately 60 minutes or until the edges are pulling away from the sides and are golden. Sprinkle the extra 2 tbsp. of sugar on top just before baking time expires. Serve with whipped cream or organic half and half.